I got an iPhone – NOT! Someone at the office knows me well enough. 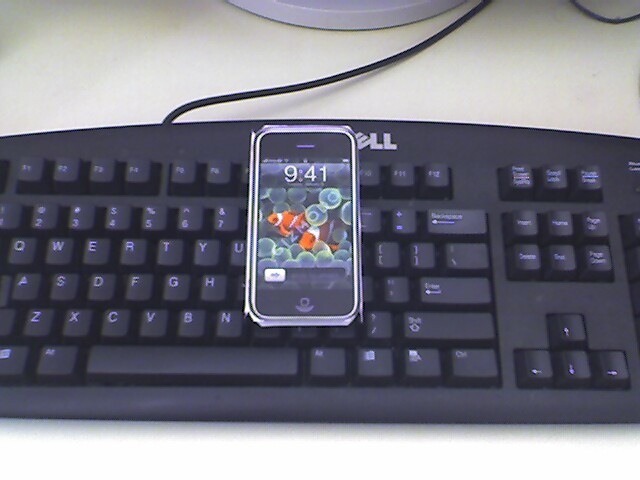 They took the time to print, fold and tape together this paper iPhone mock up and leave it on my keybord for me. The only problem is that since it’s made from paper — I have to keep my drool from getting on it. So to my anonymous office friend — thanks for making my day!